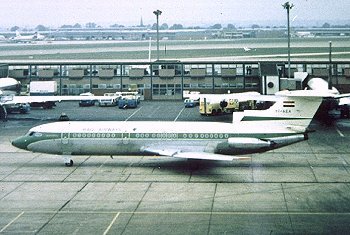 Iraqi Airways was founded in 1945. The first planes used were Dragon Rapides. For the next fiscal decade, until 1955, these planes were alternated with Vickers Viscounts. By 1955, however, the Viscounts took over all of Iraqi Airways' services. The 1960s arrived, and so did the jet age. 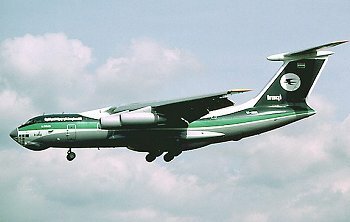 Iraqi Airways was quick to modernize, buying Russian built Tupolev TU-124 planes as well as British built Tridents. These jets allowed Iraqi Airways to increase service across the Middle East, to Africa and Europe. During that time, cargo airplanes such as the Il-76 arrived. 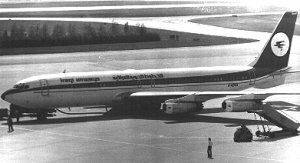 During the 1970s, Iraqi Airways was granted a route to JFK International Airport in New York, and because of that, it needed a bigger jet, so it went to (then) Seattle based Boeing and bought 707 jets. Soon after, the Boeing 747 also arrived. In 1979, Saddam Hussein became president of Iraq, in a moment that would later prove to be a turning point for the airline.